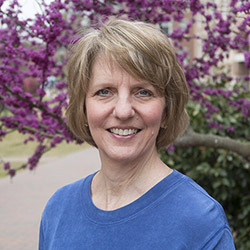 Donna Gilleskie, currently a full professor in our department, received her undergraduate degrees in economics and mathematics from UNC-CH in 1989. This Tarheel “born and bred” returned to UNC-CH as an assistant professor in 1994. This past year she served as President-Elect of the Southern Economic Association (SEA). Dating back to 1928, the SEA is one of the oldest economics associations in the U.S. As President-Elect, Professor Gilleskie organized the association’s 1800-person, 500-session annual meeting held in Washington DC. A few highlights of this 88th annual meeting were Distinguished Guest Lecturer Professor Glenn Lowry (Boston University), Association Lecturer Professor Rachel Kranton (Duke University), and Professor Chris Ruhm (University of Virginia), who gave the Presidential Luncheon Address. This upcoming year Professor Gilleskie will serve as SEA President. Only six women have served as president of the SEA in its 89 years, with the most recent being in 2005-2006. As President, she will chair two Board of Trustee meetings in Spring and Fall of 2019 and give the Presidential Address at the November 2019 conference. She will then serve on the Board of Trustees for two more years as a Past President and will chair the Kenneth G. Elzinga Distinguished Teaching Award Committee. Despite being born in the South, having attended an undergraduate institution in the South, and currently teaching in the South, any correlation between her involvement (and that of many others) with the Southern Economic Association and “the South” stops there. While the annual conference is always held in a Southern location and many of the editors of the Southern Economic Journal work at Southern institutions, the first president of the association wrote in 1940 “while it is regional in its memberships, its interests as well as its annual program extend beyond the region which it serves and encompass the nation.” Indeed, the SEA includes a diverse set of scholars, with a range of substantive interests and methods of inquiry. She has retained her southern accent, however.